Transplanted from Israel over ten years ago, I have called Las Vegas ‘home’ for the past decade. In that time, I have seen the dramatic growth and change that has impacted the southern Nevada market. Real Estate is my full time focus and you, as my client, will receive the level of dedicated service and guidance necessary in this constantly changing environment. My experience ranges from high-end to starter homes….short sales to foreclosures…buying to selling. This is my career and passion; I amdedicated and always available for my clients to educate, negotiate, and make their experience as memorable as possible. In the past 5 years, I have consistantly helped my clients buy and sell several millions of dollars in Real Estate every year. I am a proud and active member of the LGBT community. So please feel free to contact me with any questions, concerns, or requests; and I will be more than happy to assist you. Let me be your Realtor. Member National Association of REALTORS. I am a sales executive, Fine homes specialist. 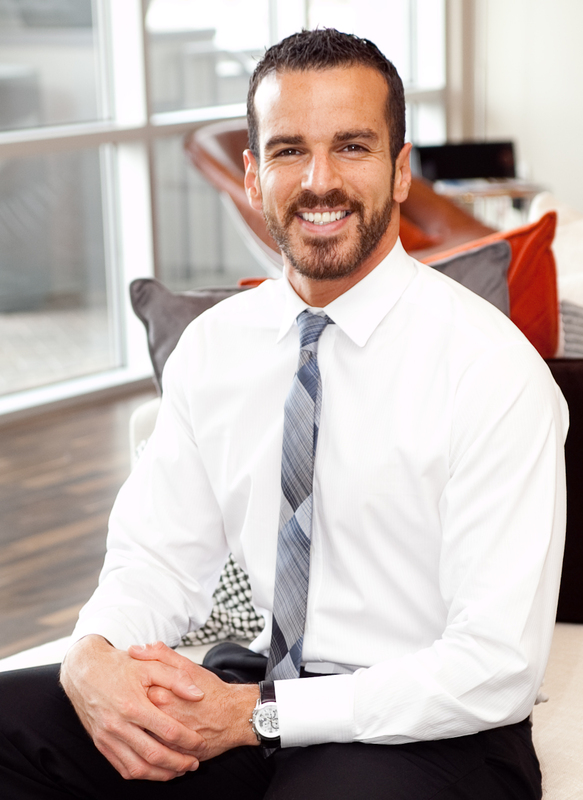 Gay Realtor proudly serving Las Vegas, Summerlin, Henderson, & North Las Vegas, and I am also active in the local glbt community. Mortgage rates started to edge higher this week, after a series of recent positive reports showing the housing market on the mend, Freddie Mac reported in its weekly mortgage market survey. The 30-year fixed-rate mortgage after posting all-time record lows for the past three weeks reversed course this week and ticked up to 3.98 percent. Still, this is the eighth consecutive week that 30-year fixed-rate mortgages have remained below 4 percent, Freddie Mac reported. “Fixed mortgage rates ticked up this week as the housing market ended 2011 on a high note,” Frank Nothaft, Freddie Mac’s chief economist, said in a statement. Existing-home sales increased 5 percent in December, the largest amount since May 2010. 30-year fixed-rate mortgages: averaged 3.98 percent, with an average 0.7 point, up from last week’s low of 3.88 percent. A year ago at this time, 30-year rates averaged 4.80 percent. 15-year fixed-rate mortgages: averaged 3.24 percent, with an average 0.8 point, inching up after last week’s 3.17 percent average. Last year at this time, 15-year rates averaged 4.09 percent. 5-year adjustable-rate mortgages: averaged 2.85 percent, with an average 0.7 point, also up from last week’s 2.82 average. Last year at this time, 5-year ARMs averaged 3.70 percent. 1-year ARMs: averaged 2.74 percent this week, with an average 0.6 point–holding at last week’s 2.74 percent average. A year ago at this time, 1-year ARMs averaged 3.26 percent. Florida attracted the most attention from international home shoppers who visited the Point2Homes consumer real estate listings portal for information on U.S. real estate in the fourth quarter. The San Diego-based firm released its U.S. International Real Estate Traffic Report for the fourth quarter, which shows Florida ranked first in the nation when it comes to its popularity among international investors. The state attracted 31% of all international traffic to its site, while Arizona came in second, drawing 19.44% of the site’s international traffic. The state of Nevada ranked third after seeing its share of foreign-based traffic edge up to 8.61%, compared to 8.22% the previous quarter. As for where the international travelers were coming from, Point2 said Canadian traffic generated the highest number of online visits. About 93% of Canadian visitors scoped out properties in Arizona, while 78% looked at homes in Hawaii and 74% reviewed homes listed in Michigan. The United Kingdom and Mexico ranked second and third, respectively, in terms of international traffic numbers. List prices are heating up in Florida, as recovery takes hold in the Sunshine State. Florida boasts the highest number of cities in the top 10 for largest increases in median list prices in the last year. In Miami alone, median list prices have jumped 32 percent in the last year. Nationwide, median list prices have inched up 5.03 percent from December 2010 to December 2011, according to Realtor.com data. 3. Fort Myers-Cape Coral, Fla.
6. West Palm Beach-Boca Raton, Fla. The serious delinquency rate for Federal Housing Administration mortgages reached 9.6% in December, the highest level in more than two years, the Department of Housing and Urban Development said. More than 711,000 FHA-insured loans were seriously delinquent, up 18.9% from one year earlier, according to the HUD report. It’s also a 3.2% increase from the month before. The delinquency rate has been steadily increasing since passing 8.2% last summer. Meanwhile, originations are down. In December, the FHA insured 93,700 mortgages, a nearly 30% decline from the 133,000 insured in December 2010. In its fiscal year 2011, the FHA Mutual Mortgage Insurance Fund slipped to a 0.24% capital ratio from 0.5% the year prior. By law, the fund must remain above 2%. FHA officials attempted to temper fears that the fund would need a bailout. An independent study done showed home prices would have to deteriorate significantly before an injection of tax dollars would be needed. “It would take very significant declines in home prices in 2012 to create a situation where FHA would need additional support,” said FHA Acting Commissioner Carole Galante when the projections came out. American Enterprise Institute Fellow Edward Pinto isn’t convinced. His study claimed that FHA is actually undercapitalized by as much as $53 billion using more traditional accounting rules. The FHA put new guidelines in place this week that would tighten restrictions on lenders seeking approval to write FHA mortgages. Also, the changes would force more firms to buyback defaulted home loans and reduce seller concessions, which Pinto said would have the most impact, according to Pinto. “We need to get back to where the mortgages themselves stand on their own regardless of what happens with house price inflation or deflation,” Pinto said. “Professional with the Personal Touch” Your Real Estate information source + Strong representation of your best interests + Using the latest technology to facilitate your home search and the successful close of your transaction. Specializing in Delaware and Chester County. Please contact me today ~ I look forward to working with you! Buyer Agency, Relocation, New Construction, Resale specialist (Buying and Selling). Representing Buyer and Sellers with Integrity and Honesty. Pending sales of existing U.S. homes fell more than expected in December, industry data showed on Wednesday, pointing to a moderation in home sales after recent hefty gains. The National Association of Realtors’ Pending Home Sales Index, based on contracts signed in December, dropped 3.5 percent to 96.6 after surging to a 1-1/2 year high the prior month. Economists polled by Reuters had expected pending sales to fall 1.0 percent. Pending sales lead existing home sales by a month or two. In the 12 months to December, pending contracts were up 5.6 percent. A recovery is starting to emerge in the housing market and home resales have risen for three straight months. Net absorption rates in the U.S. turned positive during 2011 for all major property types, according to CBRE Econometrics, which expects the trends to continue in 2012 on the heels of employment growth and then accelerate in 2013. The absorption rate is the percentage of units expected to be rented or purchased over a period of time. After a downturn across all property types, annualized apartment absorption turned positive at the beginning of 2010, office by mid-2010, industrial in 2010, and finally retail in mid-2011, analysts at Barclays Capital said. In the apartment sector, CBRE forecasts a 0.7% absorption rate in 2012 and then 1.2% in 2013. Office property, the company said, will experience a 0.6% rate in 2012 and 1% in 2013, while the industrial sector should see a 1.1% rate in 2012 and 1.5% in 2013. Retail property will have a 0.7% absorption rate in 2012 and then 1.2% in 2013. Grubb & Ellis (GBE: 0.00 N/A) said the overall outlook for the office market is stronger for 2012. The real estate services firm also expects the industrial sector to experience increased demand this year with total net absorption of 110 million square feet. Net absorption rates usually follow employment growth. An exception came during the recent downturn when each property type outperformed relative to the levels of job losses suffered during 2008 and 2009. Given the positive net absorption across property types and almost no new construction, occupancy rates, or the number of occupied units at a given time, began to improve in the third quarter. According to CBRE, apartment occupancy rose 0.8% from a year earlier to 95%. Office occupancy increased 0.6% to 83.8%, while the industrial sector inched higher 0.9% to 86.3%. Retail, the only laggard, is down 0.1% from a year earlier to 86.8%. Many in the real estate industry were concerned that a change announced last year to the maximum seller contributions allowed for Federal Housing Administration-insured loans could cause more deals to fall apart. The FHA announced last year that it would cut seller contributions from 6 percent to 3 percent for purchases using FHA-insured loans. Seller concessions, such as seller assistance to buyers in closing costs, can play a big part in FHA-financed home sales and in closing deals, real estate agents say. Inman News reports that the FHA may be rethinking its seller contribution cap and will likely announce changes to its policy in April. Inman News also speculates that a dollar ceiling on seller concessions might be announced, like a maximum cap of $6,000 instead of a percentage. New single-family home sales fell 2.2% to an annual rate of 307,000 in December from 314,000 a month earlier, according to the Commerce Department. The seasonally adjusted rate, dropped 7.3% from 331,000 a year earlier. The preliminary estimate for actual new homes sold in 2011 came in at 302,000, 6.2% below 323,000 sold in 2010. Annual sales marked a new low since at least 1963, the start of Commerce Department records. For some perspective, builders sold 1.28 million new homes in 2005. Analysts surveyed by Econoday expected new homes sales at an seasonally adjusted annual rate of 320,000 in December with a range of estimates between 309,000 and 326,000. Actual homes sold fell to the second-lowest monthly total in December at 21,000 from 22,000 a month earlier. The record low came in November 2010 at 20,000 new homes sold. Homes sold at a median price of $210,300 in December, with an average price of $266,000. Median time on market fell to 6.7 months from 7.3 months in November and 7.9 months a year earlier. The Commerce Department compiles data from surveys, which are subject to sampling variability. The Census Bureau and the Department of Housing and Urban Development release the statistics each month.